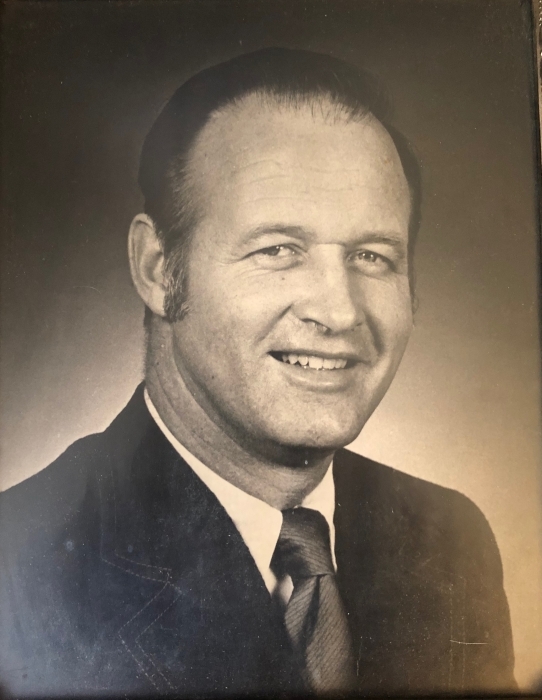 Crawfordsville High School lost one of its most successful high school football coaches on Monday, April 1, 2019 when Glenn Jerome Knecht died at the age of 85 at Franciscan Health Lafayette East surrounded by loved ones. He was born in Cincinnati, Ohio on September 30, 1933 to the late Robert C. & Marguerite J. (Kosse) Knecht. Glenn was inducted into the Outstanding Young Men of America for his notable achievements and for coming to the rescue of a young boy and saved his life. Glenn graduated from Elder High School in 1951 and Purdue University in 1955 with a bachelor’s in Education where he played center and linebacker for 4 years. His college honors include two varsity football letter awards 1953, 1954; 1952 co-Big Ten Championship; Ulysses S. Grant DeBach Scholarship. Glenn coached football and track at CHS for 17 years with a 100-60-7 record in football. He was the first football coach to win 100 games and is a member of the CHS and Indiana High School Halls of Fame. His 1968 Athenians were undefeated. He coached the Sagamore Conference Championship teams in 1968, 1972 and was IFCA Class AA “Coach of the Year” in 1972. CHS enjoyed two track conference championships, 1 sectional championship and three individual track state champions under his leadership. He always put his athletes’ interests above his own. That being said, if Glenn came down on you it meant you had really messed up. Throughout his years at CHS he taught math and driver’s education. Following his teaching and coaching careers, he was Crawfordsville's Mayor for 12 years and after that was in engineering sales for 13 years. On June 25, 1955 in Cincinnati, he married the love of his life, Gretchen Rae Bohman. He is survived by his wife of 63 years, Gretchen; three sons, Jerry (Sharon) Knecht, Jim Knecht, and Kurt Knecht; two daughters, Gwen (Dan) Hillestad and Connie (Jerry) James; seven grandchildren, Sheena (Kyle) Lutes, Kelly (Hope) Knecht, Blaine (Sarah Terpening) Jordan; Taylor James, Timmy James, Kennedy Knecht, and Collin Knecht; five great-grandchildren, Dixon, Charlotte, Leah, Elijah, and Ari; and several nieces and nephews. He was preceded in death by his parents; two brothers, Bob Les Knecht and Bruce Knecht; and a grandson, Cory Knecht.